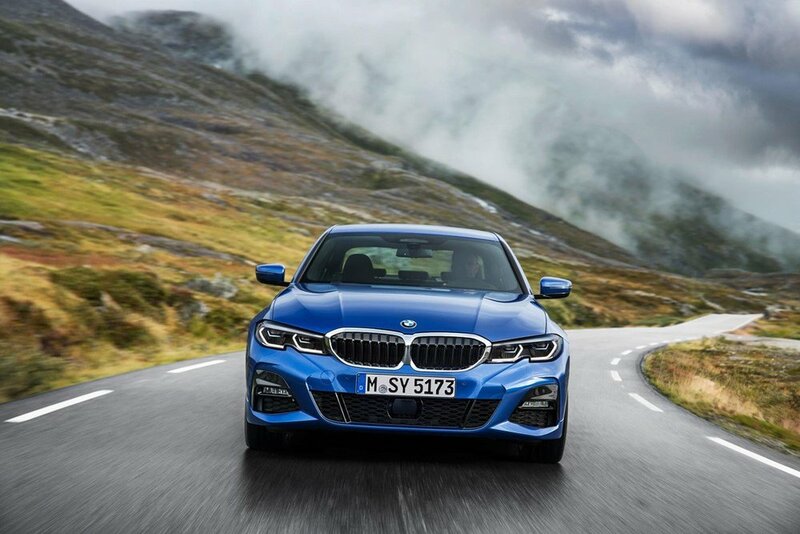 The new BMW 3 Series is set for UK release early 2019, entry level pricing from £33,610. Performance and economy is improved thanks to a weight loss of up to 55Kg. A longer wheelbase provides greater interior space and a 480-litre boot. The full engine line up is yet to be confirmed but BMW has confirmed the 320d can achieve up to 67.3mpg with an automatic gearbox (see below for more specs). 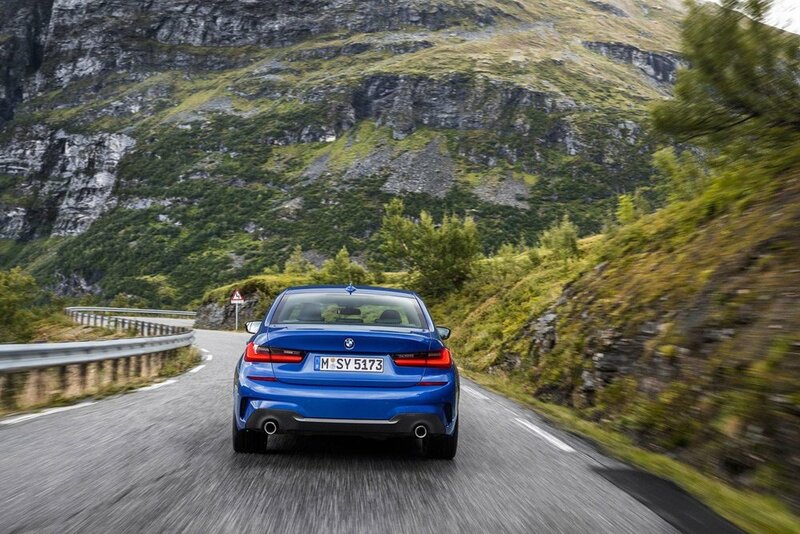 CO2 emissions start from 110g/km, or 115g/km for the manual 320d. A 330e plug-in hybrid version will also be available, with more details to follow. It is also expected that a lower-powered plug-in hybrid will be available and a fully electric version in due course. A petrol powered 330i using a 2.0-litre turbocharged engine will also be available, priced from £37,660. Standard specification on the entry-level SE model includes LED headlights, reversing camera, electric folding door mirrors, three-zone air conditioning and acoustic glazing. BMW Live Cockpit Plus is standard on SE and Sport models and adds features such as a Touch Controller, a navigation system, two USB ports for data transfer and a WiFi interface. The control display is 8.8-inch and features a touchscreen, while the instrument cluster has a 5.7-inch colour display. 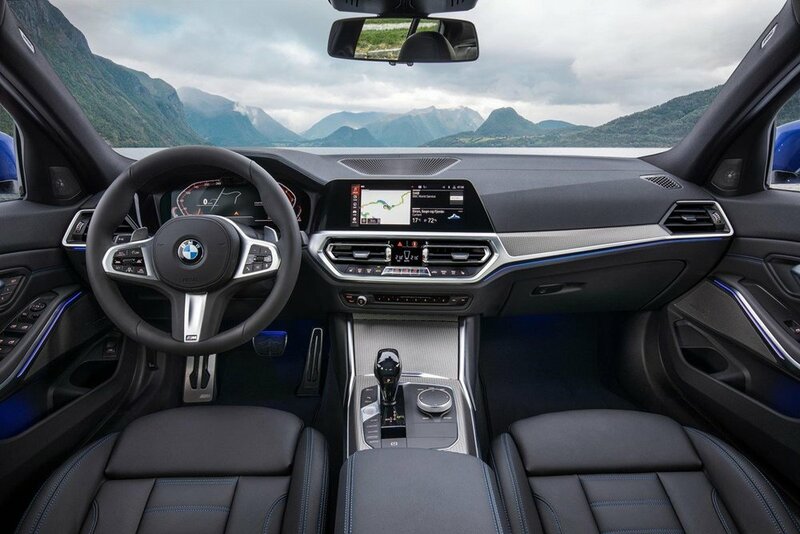 As part of BMW Live Cockpit Plus the new BMW 3 Series includes a host of connected Services as standard, Emergency Call, Teleservices, Over the air and USB map updates, BMW App connectivity and Intelligent Voice assistants. In addition to this we see the introduction of the BMW Connected Package Plus as standard. This features Remote Services, Real Time Traffic Information, but with the addition of Concierge Services and Apple CarPlay Preparation. The Sport model adds 18-inch alloy wheels, leather seats and also driver and passenger heated seats. The M Sport model has larger air intakes as well as a different design for the front bumper, side skirts and rear apron. Inside there are Sports seats, an M leather steering wheel and an anthracite BMW Individual headliner. The M Sport model will also feature as standard the new BMW Live Cockpit Professional with a 12.3-inch digital instrument cluster, 10.3-inch central instrument cluster and BMW’s new ID7 operating system. 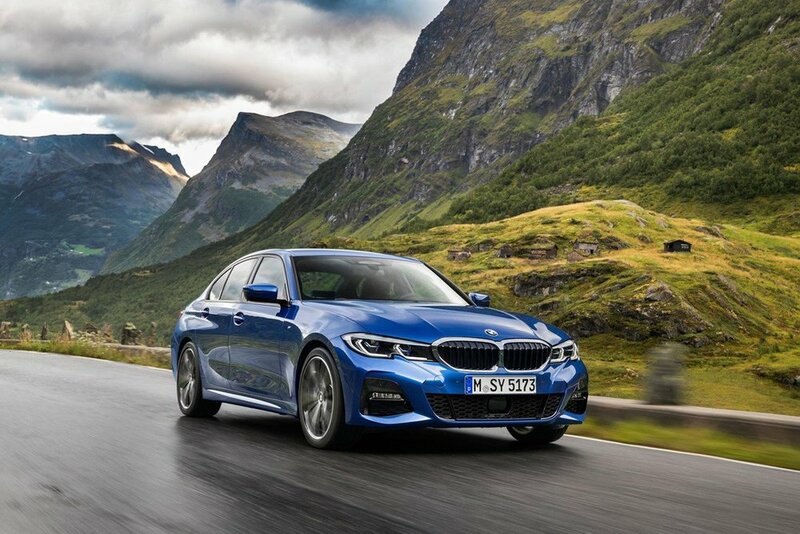 The package and option structure for the new 3 Series has been dramatically simplified, with a package and option list reduced to six main packages and around 10 single options. The packages group together options that share similar functionality, and will ease the ordering process while still allowing for a wide degree of personalisation. A new Technology package combines the Harman Kardon speakers, Head Up Display, Extended Bluetooth with Wireless Charging and Gesture Control. The Comfort package combines the Heated Steering Wheel, Comfort Access, Automated Tailgate and Storage Compartment package. The Premium package includes Electric Seats with memory, Lumbar Support and the Electric Glass Sunroof.